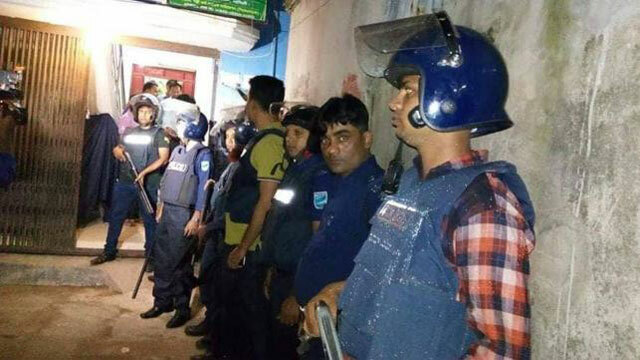 Dhaka, Oct 16 (JustNews) : Members of Counter Terrorism and Transnational (CTTC) unit of Dhaka Metropolitan Police cordoned off two houses suspecting those as militant dens in Bhogiratpur and Madhabdi areas in Sadar upazila on Monday night. Abul Kalam, officer-in-charge (investigation) of Madhabdi Police Station, said over 100 police surrounded the seven-storey building of Afzal Haji in Gangpar area under Madhabdi municipality and another five-storey building of cloth trader Billah Hossain in Bhogiratpur area around 9:00pm Monday. Two teams of Special Weapons and Tactics (SWAT) and DMP Detective Branch joined the CTTC team at night. Later, a team of Rapid Action Battalion (RAB) also joined them on Tuesday morning. ‘We will begin the operation soon,’ said CTTC senior assistant superintendent Thunder Khairul Hasan. CTTC Chief Monirul Islam reached the spot at 9:00am Tuesday. 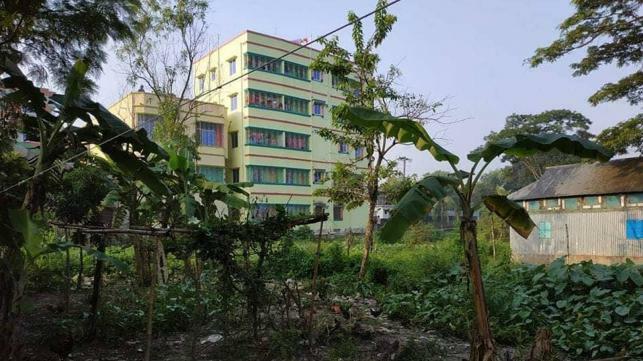 Earlier at night, the district administration imposed section 144 in and around 500-yard areas of both the buildings, said Shah Alam Mia, executive magistrate of Sadar upazila. Meanwhile, police detained Md Nazmul for allegedly bringing a militant suspect as a tenant of the house in Bhogiratpur.